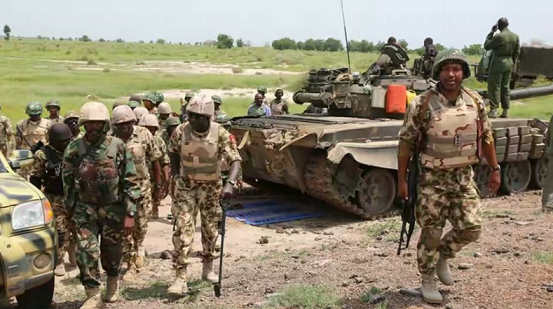 A yet-to-be-ascertained number of soldiers were said to have been killed after Boko Haram insurgents attacked an Army brigade in Buni Yadi, Damaturu, Yobe State, on Saturday evening. Our correspondent learnt that the attack, which was on the 27 Brigade, occurred around 6pm, during which there was a fierce exchange of gunfire. It was gathered that several of the Boko Haram members were shot dead, while others escaped into the forest. 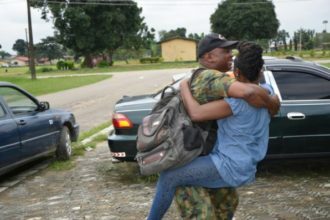 Although the 27 Task Force Brigade’s spokesman, Lt. George Okupe, said the attack was successfully repelled by the troops, he did not confirm casualties on the part of the soldiers. However, according to military sources, a colonel, who was also a doctor, and four soldiers were killed by the terrorists, who also lost some of their members during the gunfire. A source said two soldiers had also been rushed to the hospital for treatment. He said soldiers trailed some of the fleeing insurgents and recovered some AK-47 rifles from them. “The Boko Haram members came from the eastern area of Buni Yadi in large numbers and launched an attack on us. We do not know the casualty figure on the side of Boko Haram, but some dead bodies are seen scattered in the bush,” the source added. The spokesperson, 7 Division, Borno State, Colonel Mustapha Anka, could not be reached for comments as his line rang out several times as of press time. Also when contacted, the Director, Army Public Relations, Brig.Gen. Sani Usman, did not return calls to his mobile on Sunday as of press time.